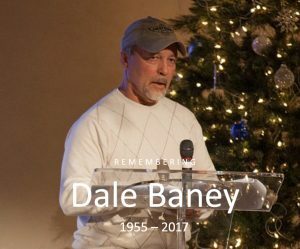 The Brewer Science family is sad to announce the passing of Dale Baney. As a 15 year employee of Brewer Science, Dale was a maintenance supervisor who led his teams to completing many key projects in his time at Brewer Science. Some of these projects include integral process improvements to our product manufacturing capabilities, upgrading our shipping complex, and renovating the original Brewer Science building at its current location into a premier auditorium and fitness facility that is in constant demand for corporate and community events. In the spirit of Brewer Science and our corporate culture, Dale was very much an innovator. Whether working on projects at home or helping solve complex problems here, he was gifted at visualizing a solution and materializing his vision into something functional. Dale’s friendship and contributions will be remembered and missed by everyone here at Brewer Science. The Baney family requests contributions be made to the Siteman Cancer Center – Pancreatic Cancer Fund CB 1204, 7425 Forsyth Blvd., St. Louis, MO 63105.